Good morning if you are looking for my LOVE Card using Eileen's Inspiration Team with Clearsnap using Color Box Blends please go HERE!!! 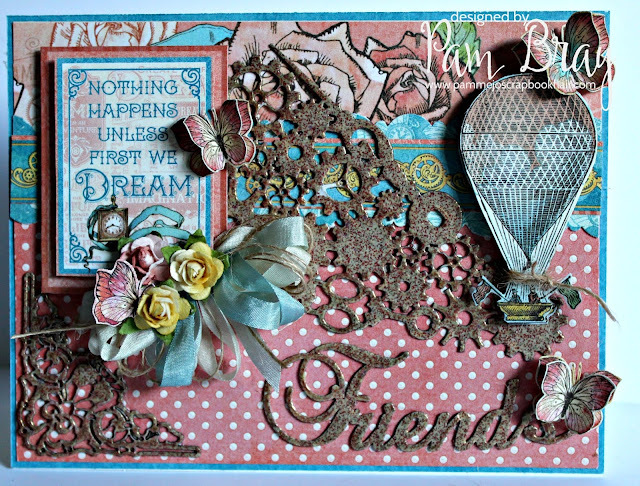 Today is my last post as Gypsy Soul Laser Cuts July Guest Designer!!! I just love all our Gypsy Soul Laser Craft fans and how we inspire each other using the marvelous chippies from Gypsy Soul Laser Cuts!!! I created a "Friends" Card to celebrate our love of chippies!!! Begin by first adhering pattern paper to the top of card base. Add two scallop border punches along with a border strip from Graphic 45 Imagine Collection. Emboss one of the Steampunk Fan Blades (contact store); "Fiends" word from the Word and Phrases and one of the corners from the Art Deco Corner,using Emerald Creek Supplies Ancient Amber Baked Texture Embossing Powder. 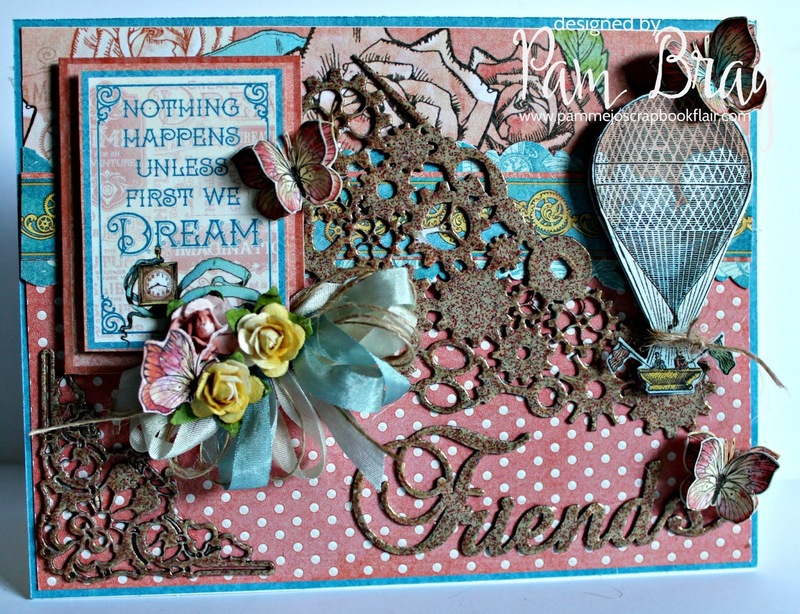 Add embossed pieces to card front. Fussy cut a hot air balloons from pattern paper; add to top of card with pop dots. Add Epherema Card and fussy cut butterflies from the pattern paper to the top of card with pop dots. Create bow from ribbon and twine; add to front of card with small flowers and fussy cut butterflies. Disclaimer Notice: I’ve received products/compensation from Gypsy Soul Laser Cuts for a Guest Design Spot. This project however, is 100% my own project! Some of the links in this post are affiliate links. I explain more here.